This is a great moment for all UXness readers and UX enthusiasts on getting recognition from the World's largets UX Design Community Interaction Design Foundation (IDF). 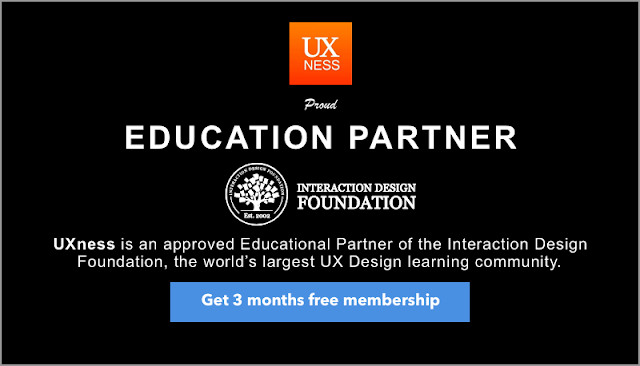 UXness is an approved Educational Partner of the Interaction Design Foundation, the world’s largest UX Design learning community. 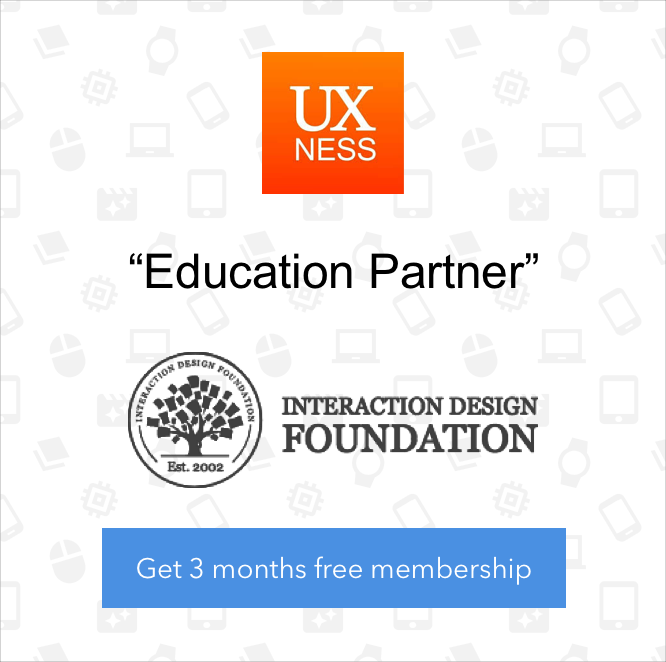 UXness has invited you to learn great UX design at the Interaction Design Foundation. Find out what makes our learning community so well loved by designers all over the world! 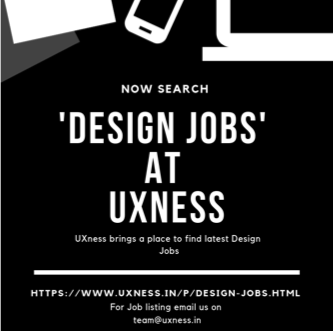 Since you’re invited by UXness, you get to enjoy 3 months off your first year of membership with the Interaction Design Foundation. Join our community and start learning great UX design today!